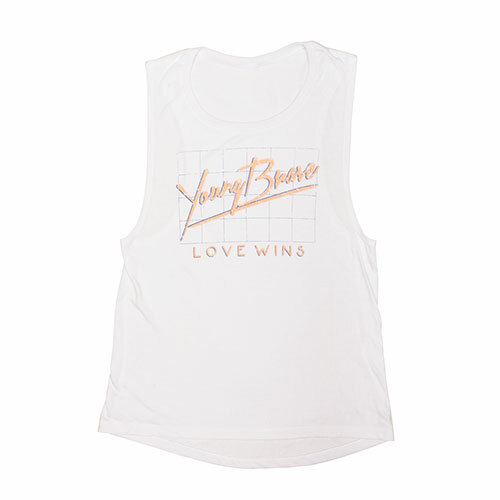 Show your support with this fun, retro-inspired Young Brave muscle tank. Its a feminine and flowy version of the classic 80’s muscle tank because of its scoop neck and soft poly-viscose fabric that softly drapes around curves. Great for summer and layering when it gets chilly. Tee has a vintage look and some of the tees will have discoloration because of the custom dye. No two items are exactly alike.